Aireon LLC and FlightAware today announced that GlobalBeaconSM is live and providing airlines with global flight tracking ahead of the International Civil Aviation Organization (ICAO) Global Aeronautical Distress Safety System (GADSS) recommendations, which will be effective November 8, 2018. GlobalBeacon is a first of its kind, turnkey solution that surpasses GADSS standards and recommended practices for flight tracking. By combining FlightAware’s data processing platform and web-interface, with Aireon’s space-based ADS-B network, GlobalBeacon transcends borders and Flight Information Regions (FIRs) and eliminates coverage gaps in polar airspace, over deserts and in oceanic regions. At the heart of GlobalBeacon’s capability is an aggregation of tracking information from Aireon’s space-based ADS-B network and FlightAware’s contextual flight data – including origin, destination, flight plan route and estimated time of arrival (ETA). Aireon is deploying a space-based air traffic surveillance system for Automatic Dependent Surveillance-Broadcast (ADS-B) equipped aircraft throughout the entire globe. 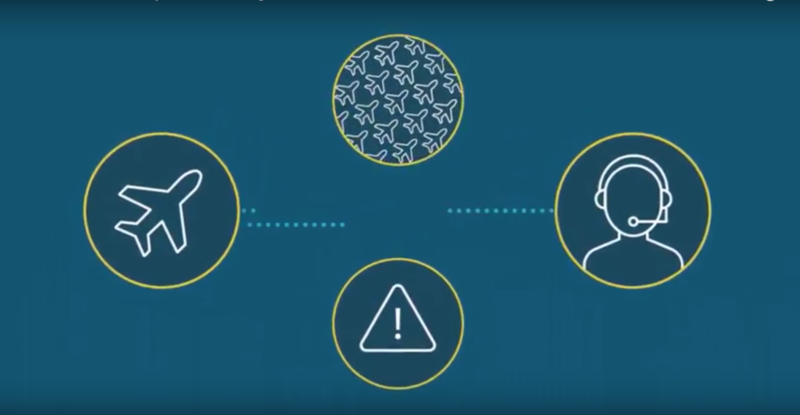 Aireon will harness next-generation aviation surveillance technologies that are currently ground-based and, for the first time ever, extend their reach globally to significantly improve efficiency, enhance safety, reduce emissions and provide cost savings benefits to all stakeholders. Real-time ADS-B surveillance will cover oceanic, polar and remote regions, as well as augment existing ground-based systems that are limited to terrestrial airspace. In partnership with leading ANSPs from around the world, like NAV CANADA, the Irish Aviation Authority (IAA), Enav, NATS and Naviair, as well as Iridium Communications, Aireon will provide a global, real-time, space-based air traffic surveillance system to all aviation stakeholders. FlightAware is the world’s largest flight tracking data company and provides over 10,000 aircraft operators and service companies as well as over 12,000,000 passengers with global flight tracking solutions. 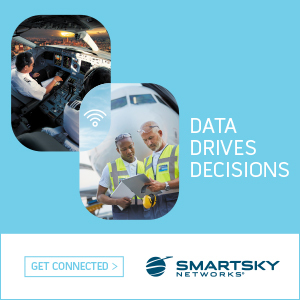 FlightAware leverages data from air traffic control systems in over 45 countries, from FlightAware’s network of over 8,000 ADS-B ground stations in over 200 countries and using global datalink.